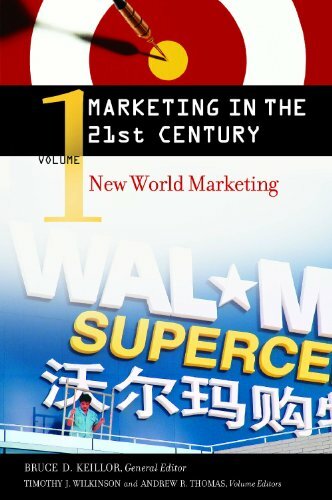 Marketing In The 21St Century (4 Vol. Set): 9780275992750 Hardcover - LIMEROCK BOOKS INC.
Marketing is the crucial connection between company and customer; no enterprise can expect to succeed without a substantial investment in its marketing efforts. Not surprisingly, marketing is one of the core areas of study in the hundreds of business schools and MBA programs around the world, and a vital department of virtually every business. This dynamic set showcases the most current trends, issues, ideas, and practices in marketing, especially as the field evolves in the context of globalization and advances in technology. From branding to public relations, e-tailing to customer-retention strategies, overseas expansion to promoting sports products, Marketing in the 21st Century covers the full spectrum of marketing-related issues, in their business and cultural contexts. Written by leading academic thinkers and business practitioners, the four volumes highlight emerging and innovative practices, illustrated through examples from around the world. Volume 1, New World Marketing, provides insights and tools for conducting business internationally, with emphasis on market research, market entry, and distribution strategies, and coverage of emerging markets, including China, India, and Eastern Europe. Volume 2, Interactive and Multi-Channel Marketing, explores the impact of new technologies on acquiring and retaining customers, including discussion of direct and interactive marketing techniques, customer data analysis, and ethics in marketing. Volume 3, Company and Customer Relations, deals with such issues as reputation and trust building, relationship marketing, sales management, and customer privacy. Volume 4, Integrated Marketing Communication, covers consumer demographics, multi-media communication strategies, and micromarketing. Collectively, these volumes represent the state of the art in the field. They are an essential resource for anyone studying, teaching, researching, or practicing the art and science of marketing. A comprehensive overview of current trends, issues, ideas, and practices that are changing the dynamics of marketing—featuring contributions from a global network of leading academics and practitioners.